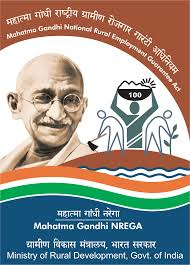 The debate on Mahatma Gandhi National Rural Employment Guarantee Assistance (MGNREGA) (details about the scheme, eligibility, monitoring mechanism, progress made can be seen at its official website), which is perhaps as old as the scheme itself has becomes extremely livid in the recent past. "Rural Guarantee Scheme chokes as funds dry up” in ToI are the latest in this series. I must forewarn that I will play the role of a devil’s advocate and will criticize all that’s going wrong presently in the scheme. While the TOI article talks about drop in fund allocation from Rs 39000 crores (Rs 390 billions) in 2013-14 to Rs 24000 crores (Rs 240 Billions) in the current financial year and as a result, only 8.3 crores households could be provided jobs out of 10.5 crore households who had applied as on Nov 25, 2014 thus leaving a gap of 2.3 crore households without work. The corresponding numbers last year for the same period were 9.8 crore households out of 10.9 crore households who has applied for job. The article also mentions about pending liabilities of the panchayats and pending wages. Abhijit in his article mentions that while “he has never been a huge fan of MGNREGA”, the scheme has done something good for the poor and by that he means that 2.2 billion person days of work were generated under the program in 2013-14 covering 50 million households and over 200 million people. This makes it one of the largest welfare programs in the world. He has quoted an Oxford University study which by comparing NSS data with MGNREGA database for 2011 points to a gap of 20% ie 20% of the reported days of work did not happen and how this is an improvement over 50% gap which was reported in 2007-08. 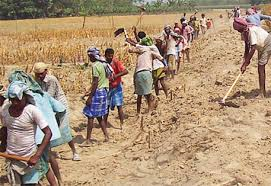 Abhijit further points out that work is not entirely unproductive and that in their study in Bihar and Rajasthan, almost all the works carried out under MGNREGA could be traced down. He further says that there has been “less temporary out-migration” from MGNREGA villages that clearly establishes that “program is doing something”. Abhijit then points out issues in MGNREGA in its present form such as panchayat specificity, inter-state differences which depend on state’s access & ability to utilize and not exactly proportionate to state’s backwardness, frauds (which he points out have come down in recent past), panchayat’s requirements versus State’s inability to match funds such as in Bihar, delay in realizing payments which may vary from few weeks to months and gaps in proper micro level targeting. He has, as an alternative, proposed a universal cash transfer in the form of a minimum guaranteed income, based on a hypothetical program proposed by Rinku Murgai, Martin Ravallion and Dominique Van de Walle from the World Bank. This according to him would be better option than scaling down MGNREGA since it removes selection & location bias, will be universal and will be easy to implement. Abhijit admits he is not a huge fan of MGNREGA. He does however point out the significant impact on the employment that has been generated under the program making it the largest welfare program in the world. But, the question is – what’s been the outcome of this employment generation? Has it led to creation of productive capital assets (having a life of at least 5 years if not more)? Merely doling out money in the name of wages for works which are either seasonal (and thus need to be undertaken again next season such as de-silting) or which can’t be verified, is a criminal waste of money. It neither adds to the capital nor builds a productive work force. If at all, it deprives the same labor which could have been used elsewhere and thus, in some sense, leads to inflationary tendency in the economy. 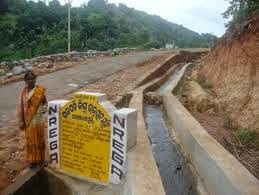 Moreover, works like de-siltation of drains are something which Panchayats are supposed to carry out from their mandated budgets and taking them up under MGNREGA often implies double accounting. While de-siltation of drains/tanks are required to be carried out, carrying out such works under MGNREGA is fraught with dangers since a good proportion of these works are often bogus as actual measurement is difficult and any discrepancy can often be attributed to further siltation during the intervening period. My point is, there are more pressing works in villages which can be measured and should take precedence over something which is subjective and highly prone to bogus reporting. While Abhijit does point to matching on ground the number of works undertaken under the scheme in Bihar & Rajasthan in his study, the issue is regarding the longevity of these works and whether the same can be confirmed for all works undertaken under the Scheme? Or for what proportion of all works, can this be confirmed? This is more of a self-fulfilling prophecy wherein kutcha drains, desilting works and other such one-season works are taken as works existing on ground. They will of course be silted up in the next rain or in the coming season and the same works will be taken up again! Does this amount to creation of works? Is it not a wasteful expenditure? Let such works be taken up by Panchayats/Municipalities from their regular budgets if needed. Abhijit points out to a 20% gap in MGNREGA reporting and how it’s an improvement over 50% in 2007-08. By its own admission, one-fifth of the total enrolments continue to be bogus and this is in the 8th or 9th year of the scheme! Converted into funding, this means an outgo of at least Rs 5000 Cr – Rs 15000 crores as leakages! Do we need a scheme in its present form which implies such a colossal waste on its own account? This leakage would be at least double if one is to consider the payment made to those who get it without doing any work (bogus works with proper enrolment), mismanagement and administrative leakages. Who are we working for? There are other serious issues. More developed states like Andhra Pradesh (erstwhile) could draw many more times under the scheme than the states with greater concentration of poor such as Bihar, UP and Jharkhand. The concept of allocation/utilization under the scheme in proportion to the poor population has been conveniently replaced by the allocation based on the state’s capacity to utilize the funds. So, while at the national level, we get a sense of positivity in terms of overall numbers (coverage and expenditure), its actually doing a disservice to poorer and needy states as their share is actually knocked off by relatively more developed states. The question remains- why should the poor and needy suffer because of inability of the state to contribute its share or because of bureaucratic apathy & lackadaisical attitude? Should we not have a more transparent system based on the requirement? Then there are administrative glitches. I wonder why have we not been able to overcome them by now? While there have been constant improvements in the scheme such as aligning it with Aadhaar and direct payment in the beneficiary account, I recall reading horrifying details of how MGNREGA enrolments were done in the name of villagers who actually exist, their bank accounts were opened and the entire money in their names were drawn for over 4 years fraudulently by the Panchayat official in collusion with Bank official! This would have been a part of 80% of the actual enrolment! While its true that some of these aberrations are bound to happen in a scheme as large as MGNREGA, what if such fudging is more than 15-20% or even more? The scheme is already going to complete a decade soon since it started. The underlying intentions and objectives of the schemes are highly laudable and there is no doubt that it has helped millions of families in their fight against poverty in a significant manner. But then, there are too many operational and economic issues in its operations. The basic issue remains – should one go on continuing a welfare scheme where while income is being provided to the needy families, the productive outcome of the scheme is seriously doubtful. The average annual outgo has been Rs 35000 crores plus and overall, thus, it might be more than Rs 250,000 crores cumulatively. Such schemes obviously come at a cost of capital development and I feel, time has come when we need to strike a balance between income needs, employment potential and productive capital investment. The idea of a universal guaranteed income scheme proposed as an alternative is ludicrous. The country doesn’t have that kind of resources to simply fritter around and if we take pride in advocating our demographic dividends, it’s time we start showing the results of this so called dividend rather that continuing with the “white man’s burden”! So, what can be done? One thing which certainly must not be done is to try and limit it to certain number of Blocks in the country. Poor exist in all parts of the country and limiting the scheme to certain blocks will be hugely unfair to the poor in the blocks left out. 1. All works which are purely earthen work based and without any capital should henceforth be discontinued. This means that works such as desilting of drains, construction of kutcha drains etc should be discontinued. 2. Only those works which have longevity of more than certain time period say 4-5 years should be taken up under the scheme. 3. Some of the works such as construction of class rooms in village school, based on the strength of school children, coloring of government buildings in a uniform manner etc can be taken up. 4. Water conservation works such as mini check dams, lined drains, water harvesting structures can be taken up in a big way. While I may be criticized for not knowing about the scheme in detail, I am of the humble opinion that too much money (as percentage of overall allocation under the scheme) has been wasted and the scheme cannot continue in its present form as not only it’s not sustainable, its also creating an unproductive dependency syndrome among the working age group who would have worked otherwise and contributed productively. I am surprised to know that the DBT scheme which is expected to cut leakages may have inherent flaws in itself. 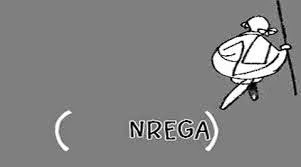 I think the point that MGNREGS should be measured in terms of effective creation of productive capital assets, is very valid. Good point and well elucidated.